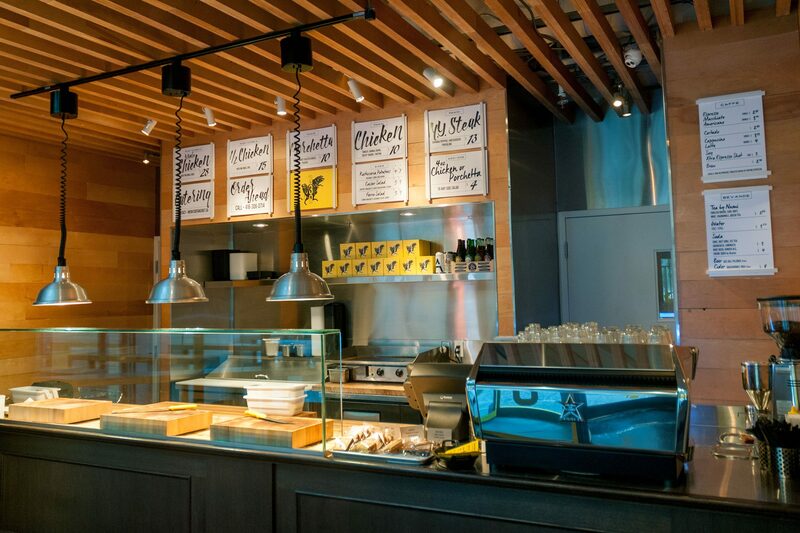 Mercatto Restaurants, a popular Italian chain in Toronto, opened its first location at 330 Bay Street almost 20 years ago. 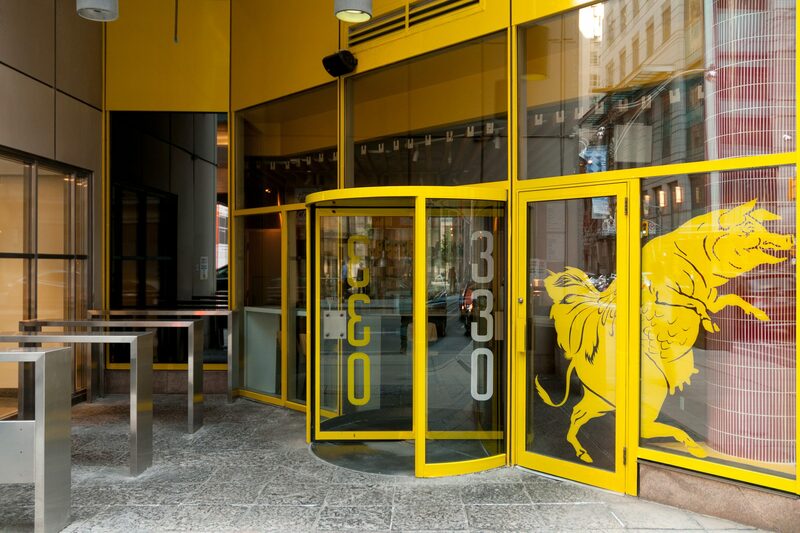 Since then, they’ve become the go-to lunch spot for power brokers and investment bankers in the bustling Financial District. In early 2016, the owners decided it was time to offer their clientele a fresh alternative to the pizza and pasta options that had become increasingly commonplace. 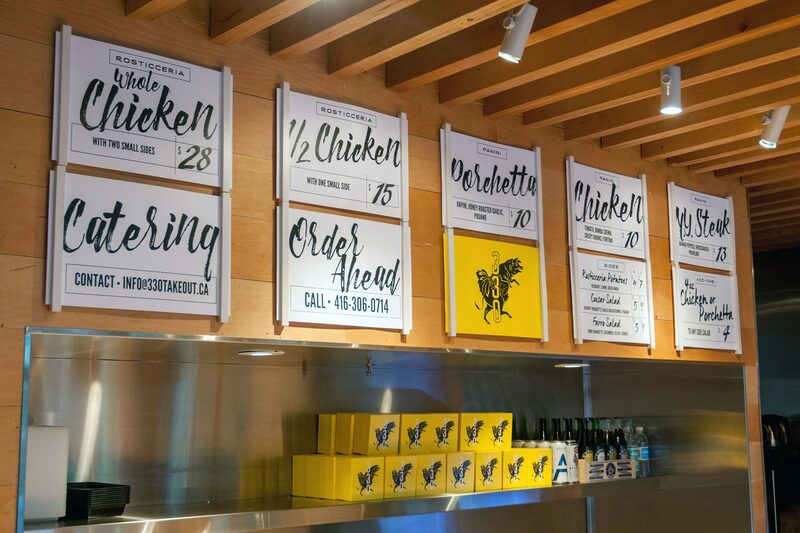 With a simple menu of three slow-roasted meats (rotisserie chicken, New York strip, and porchetta) on mouth-watering paninis, and a casual, butcher-inspired atmosphere, the concept for 330 Takeout was born. Our aim was to create an identity that celebrates this concept in a way that’s fun and unexpected, by combining a bold, modern aesthetic with 19th century sensibilities. 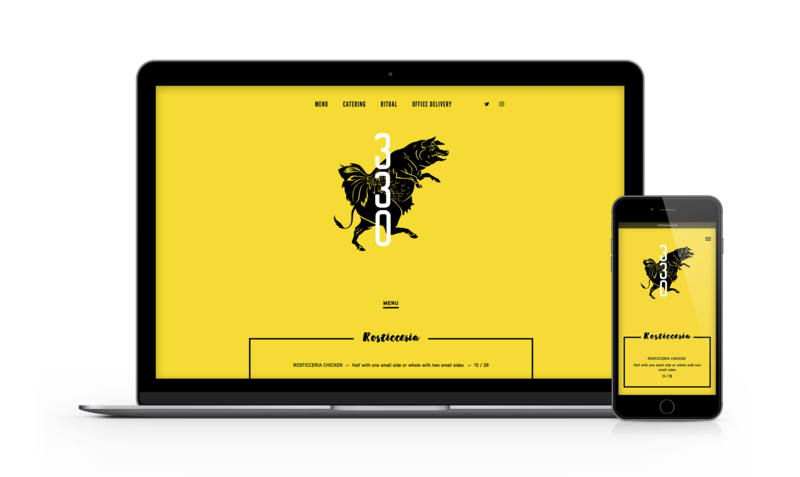 Inspired by an illustration from an old book of nursery rhymes, the 330 logo is part pig, part chicken, and part cow, all combined into one wily chimera. Rendered in black and yellow, the identity is rounded out with a selection of authentic brush scripts combined with gothic, utilitarian typefaces, echoing a bygone era of handwritten price tags and painted signs in butcher shop windows. The brand is carried across multiple touch points including an impossible to miss exterior with larger than life logo, interior signage, take-home menus, and website. 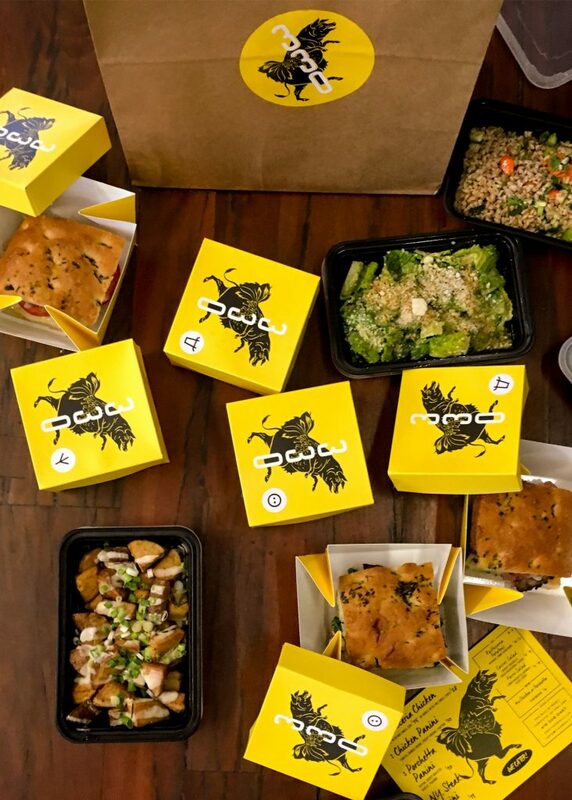 The logo can also be found on 330’s iconic bright yellow sandwich box, accompanied by custom pictograms indicating which of the trio of meats each sandwich contains. An instant hit, the 330 sandwich box can now be seen on streetcars and in offices throughout the area.